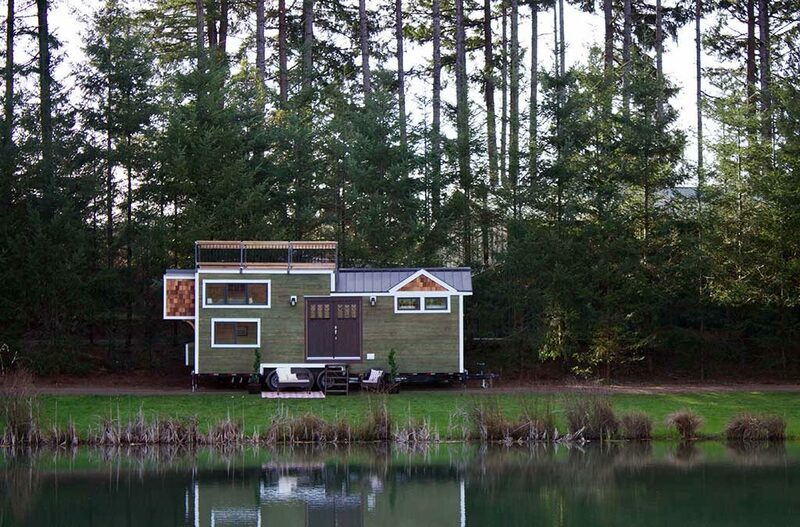 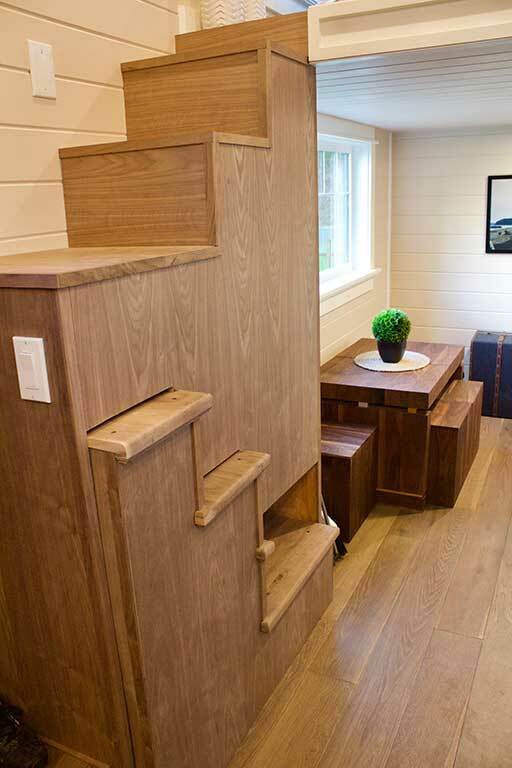 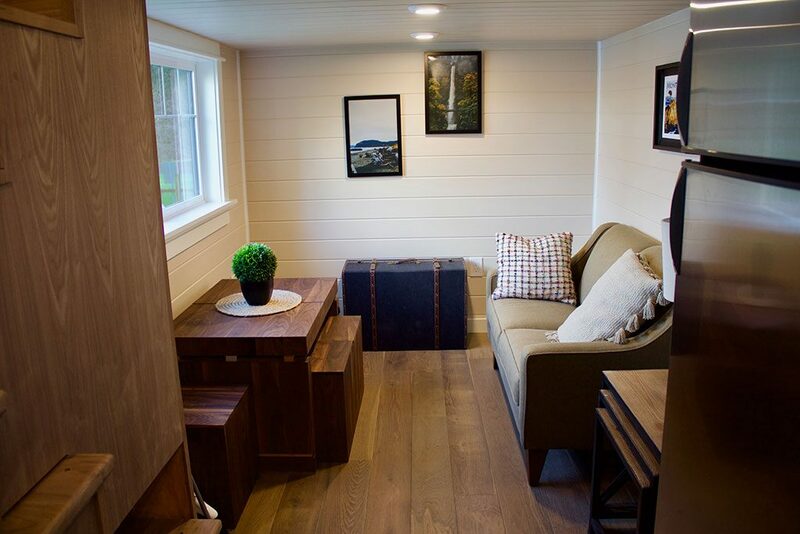 This gorgoeus craftsman tiny home was designed and built by Tiny Heirloom for their show, Tiny Luxuries. The clients were a couple from the Bay Area who wanted a small home to give them an economical and flexible way of living. 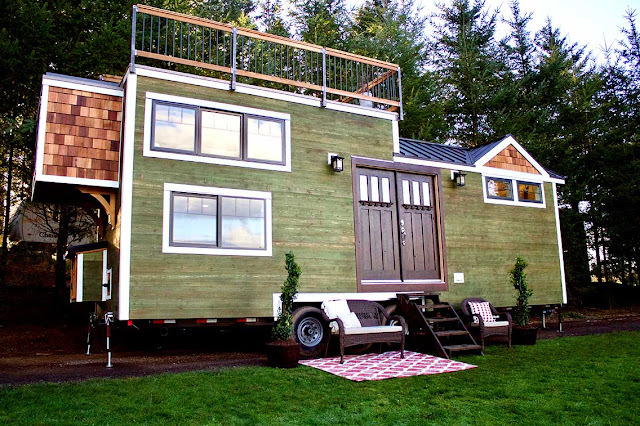 Their 220 sq ft tiny house features some pretty cool features including an automated staircase and a 160 sq ft rooftop deck! 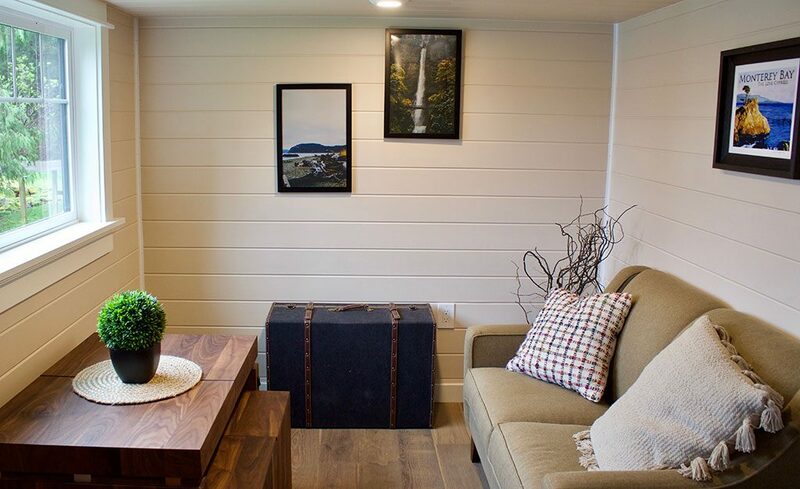 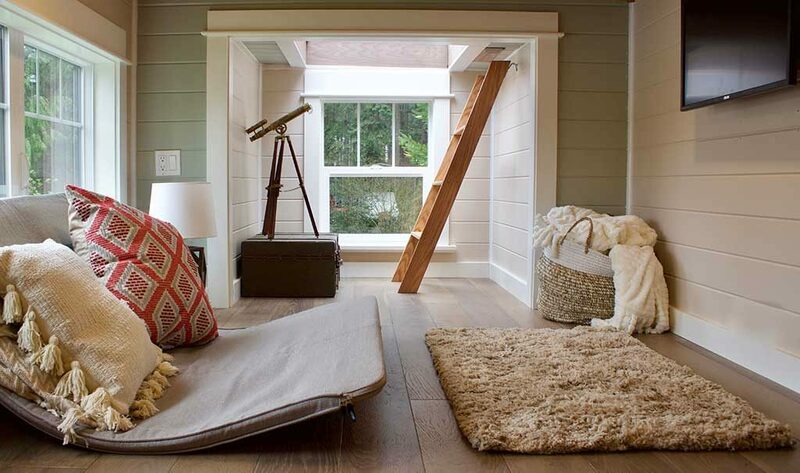 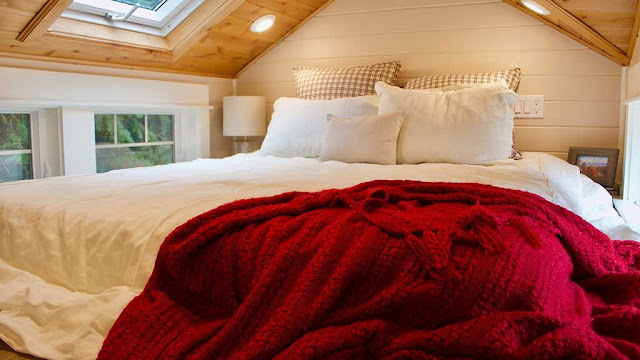 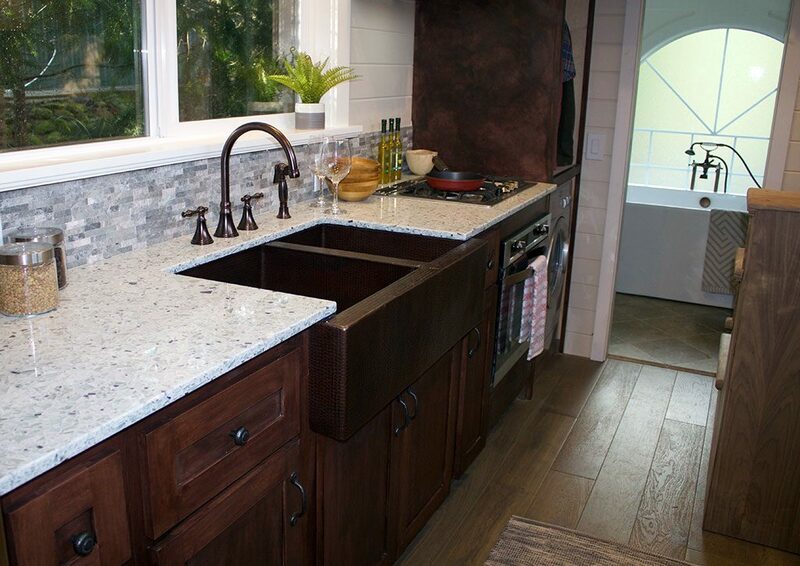 There's also wood accents throughout the home to reflect the new owners' love of the outdoors!